The barrel bridge screws are 5 mm and I simply did not have the proper screwdriver, and decided it may be a fun project to make one. 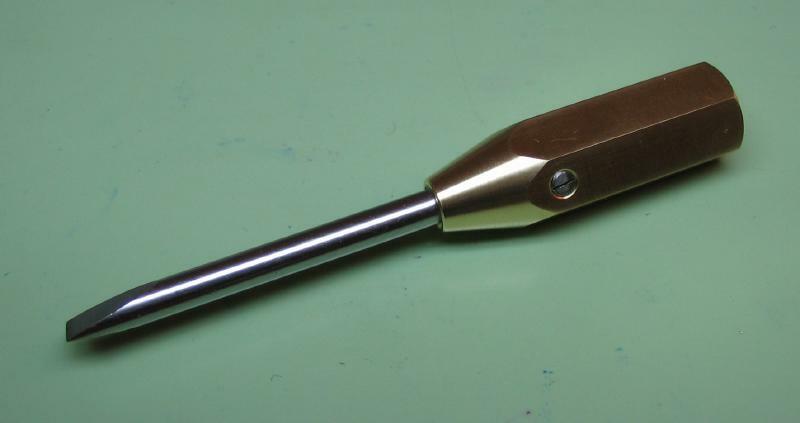 The handle is made from a piece of scrap brass hex rod. It was drilled to hold 4.0mm drill rod. One end is turned to a 30 degree taper. The other end was lightly rounded by turning and with a file. 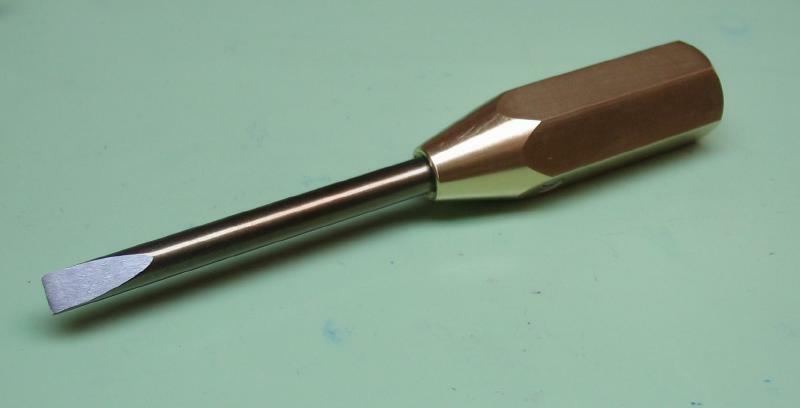 The blade of the screwdriver was made from 4.0mm drill rod. 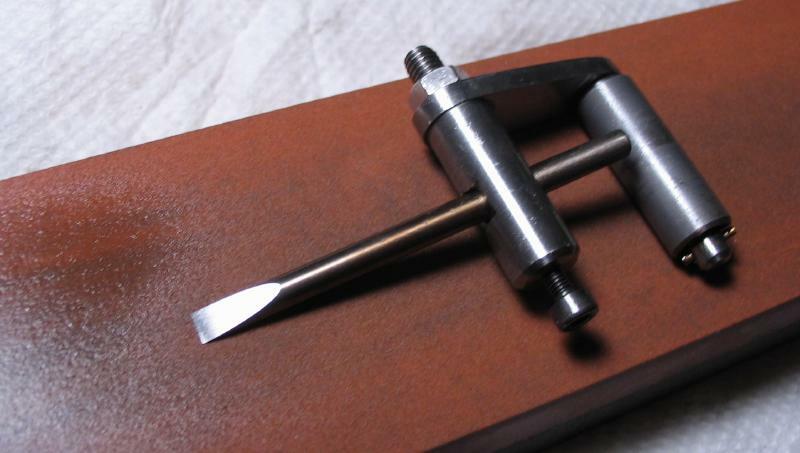 The end was filed to an angle that fit the screws just right, but still slightly oversize to allow for finishing later after tempering. 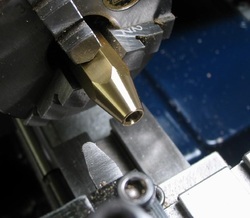 A flat is filed on the other end using the filing rest on the lathe. 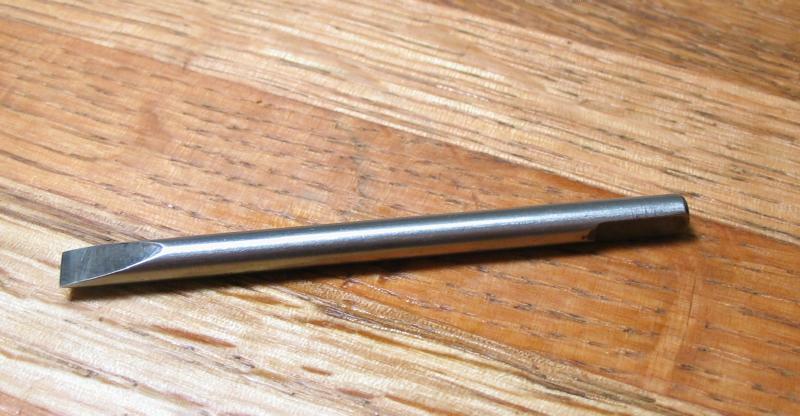 A set screw was made from 3.0mm drill rod, and threaded M3x0.5. It was slotted with a screwhead file. The handle is drilled and tapped M3. Test assembly of the parts. The blade was then hardened in oil. Polished for observing color change. 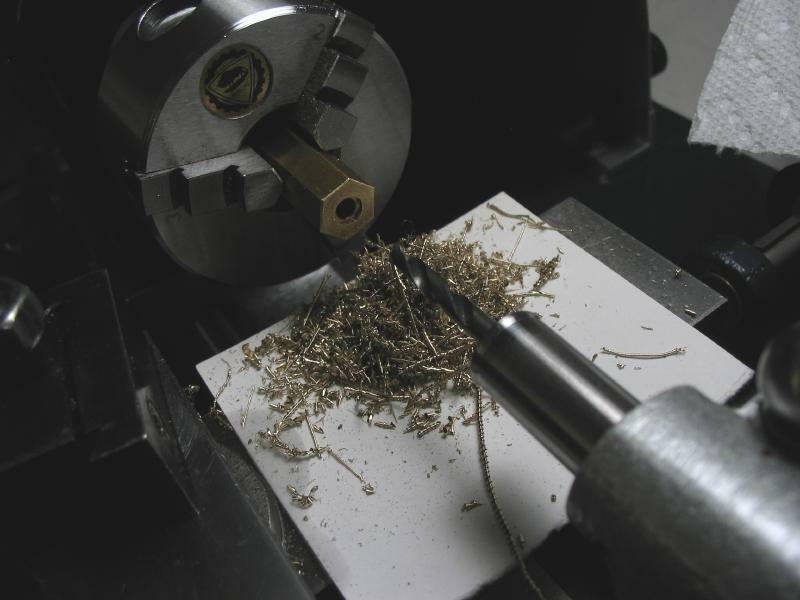 Tempered to a straw color to keep good hardness. The blade was sharpened on fine India stone and the graver sharpener was used.